READ THE SIMPLE FACTS ON SOPA & PIPA BELOW. So what exactly is SOPA & PIPA? SOPA is an anti-piracy bill working its way through Congress. House Judiciary Committee Chair and Texas Republican Lamar Smith, along with 12 co-sponsors, introduced the Stop Online Piracy Act on October 26th of last year. Debate on H.R. 3261, as it's formally known, has consisted of one hearing on November 16th and a "mark-up period" on December 15th, which was designed to make the bill more agreeable to both parties. Its counterpart in the Senate is the Protect IP Act (S. 968)(PIPA). SOPA discussions had been placed on hold but will resume in February of this year. Why SOPA & PIPA Now ? Media companies, which are always looking for new ways to fight piracy, have already suing individual users, getting Internet service providers to take action against subscribers, and are already working with the U.S. government to shut down domains based in the United States. However among all this, none of those actions can stop overseas websites such as The Pirate Bay and MegaUpload from infringing copyrights, or prevent Internet users from accessing those sites. Thats where Stop Online Piracy Act (SOPA) and the Protect IP Act (PIPA) come into play. The biggest implication of SOPA is the ability of intellectual property owners (read: movie studios and record labels) to effectively pull the plug on foreign sites against whom they have a copyright claim. If Warner Bros., for example, says that a site in Italy is torrenting a copy of The Dark Knight, the studio could demand that Google remove that site from its search results, that PayPal no longer accept payments to or from that site, that ad services pull all ads and finances from it, and—most dangerously—that the site's ISP prevent people from even going there. While SOPA belongs to the U.S. House of Representatives, PIPA belongs to the U.S. Senate. 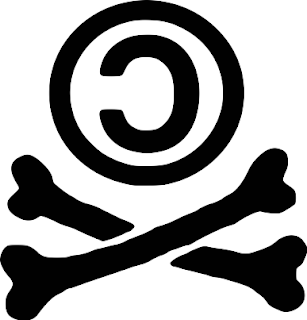 Both SOPA & PIPA bills are aimed at foreign websites that infringe copyrighted material. The bills are commonly associated with media piracy, but may also apply to counterfeit consumer goods and medication. Originally, both bills provided two methods for fighting copyright infringement on foreign websites. Method 1: the U.S. Department of Justice could seek court orders requiring Internet service providers to block the domain names of infringing sites. For example, Comcast could prevent its customers from accessing thepiratebay.org, although the underlying IP address would still be reachable. This ISP-blocking provision was a major concern among Internet security experts, and both SOPA and PIPA have dropped it. Method 2: Rights holders to seek court orders requiring payment providers, advertisers, and search engines to stop doing business with an infringing site. In other words, rights holders would be able to request that funding be cut off from an infringing site, and that search links to that site be removed. The site in question would have five days to appeal any action taken. Although the House and Senate bills are similar, SOPA is the more extreme of the two. It defines a "foreign infringing site" as any site that is "committing or facilitating" copyright infringement, whereas PIPA is limited to sites with "no significant use other than" copyright infringement. More details on SOPA and PIPA are available through the Library of Congress website. The most galling thing about SOPA in its original construction is that it let IP owners take these actions without a single court appearance or judicial sign-off. All it required was a single letter claiming a "good faith belief" that the target site has infringed on its content. Once Google or PayPal or whoever received the quarantine notice, they would have five days to either abide or to challenge the claim in court. Rights holders still have the power to request that kind of blockade, but in the most recent version of the bill the five day window has softened, and companies now would need the court's permission. Payment processors or content providers like Visa or YouTube don't even need a letter shut off a site's resources. The bill's "vigilante" provision gives broad immunity to any provider who proactively shutters sites it considers to be infringers. Which means the MPAA just needs to publicize one list of infringing sites to get those sites blacklisted from the internet. SOPA also includes an "anti-circumvention" clause, which holds that telling people how to work around SOPA is nearly as bad as violating its main provisions. In other words: if your status update links to The Pirate Bay, Facebook would be legally obligated to remove it. Ditto tweets, YouTube videos, Tumblr or WordPress posts, or sites indexed by Google. And if Google, Twitter, Wordpress, Facebook, etc. let it stand? They face a government "enjoinment." They could and would be shut down. The resources it would take to self-police are monumental for established companies, and unattainable for start-ups. SOPA would censor every online social outlet you have, and prevent new ones from emerging. Opponents of SOPA and PIPA believe that neither piece of legislation does enough to protect against false accusations. Provisions in the bill grant immunity to payment processors and ad networks that cut off sites based on a reasonable belief of infringement, so even if claims turn out to be false, only the site suffers. SOPA clearly defines infringing sites based on Supreme Court holdings and the Digital Millenium Copyright Act, and requires rights holders to follow a strict set of rules when trying to get payment cut off to an infringing site. False claims can result in damages, including costs and attorneys' fees. Previous actions against infringing sites, such as the MGM vs. Grokster case in 2005, triggered similar doomsday predictions from the tech industry, yet digital music innovation has flourished since then. Representative Lamar Smith (R-Texas) is the author of SOPA, which is backed by 31 cosponsors in the House. Senator Patrick Leahy (D-Vermont) wrote PIPA, which has 40 cosponsors in the Senate. ProPublica has a visualized list of supporters in both the House and Senate. The White House has expressed concerns about the bills in their current state, writing in a statement that "any effective legislation should reflect a wide range of stakeholders, including everyone from content creators to the engineers that build and maintain the infrastructure of the Internet." As for outside parties, the list of SOPA supporters consists mostly of media companies, including record labels, TV networks, movie studios, and book publishers. In the middle are companies at the intersection of media and technology. Many video game publishers have stayed silent on the matter while their trade group, the Entertainment Software Association, supports the bills. The Business Software Alliance originally supported the bill, butwithdrew its support after deciding that the legislation went too far. As for Apple and Microsoft, which are both BSA members, the former has not come out publicly for or against SOPA or PIPA, while the latter now says that it opposes SOPA "as currently drafted." The momentum behind the anti-SOPA movement has been slow to build, but we're finally at a saturation point. Wikipedia, BoingBoing, WordPress, TwitPic: they'll all be dark on January 18th. An anti-SOPA rally has been planned for tomorrow afternoon in New York. The list of companies supporting SOPA is long but shrinking, thanks in no small part to the emails and phone calls they've received in the last few months. Both bills have taken a hit in the last week, as their authors have decided to remove the provisions that require Internet service providers to block the domain names of infringing sites. SOPA, which has yet to pass out of the House Judiciary Committee, is reportedly stalled, as lawmakers continue to work on the bill. Representative Darrell Issa (R-California) has proposed an alternative bill that is far more narrow in its focus.